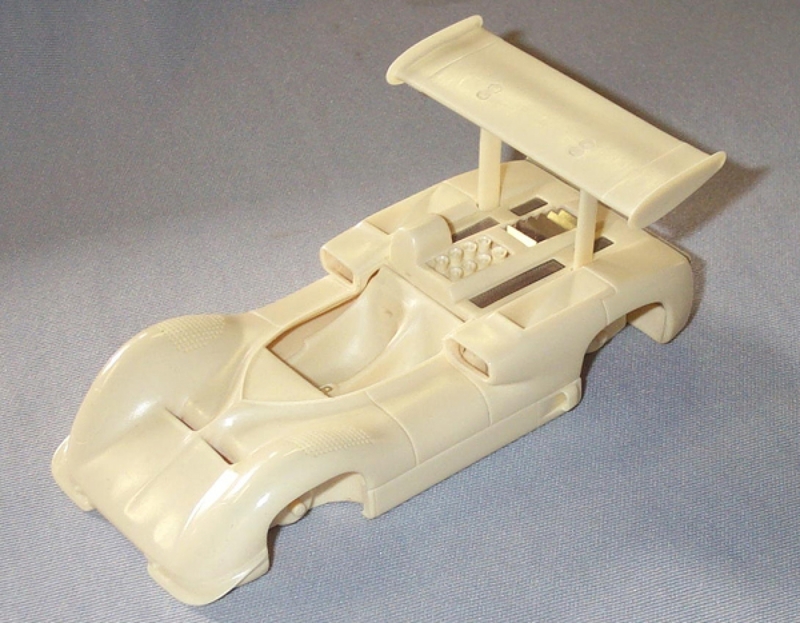 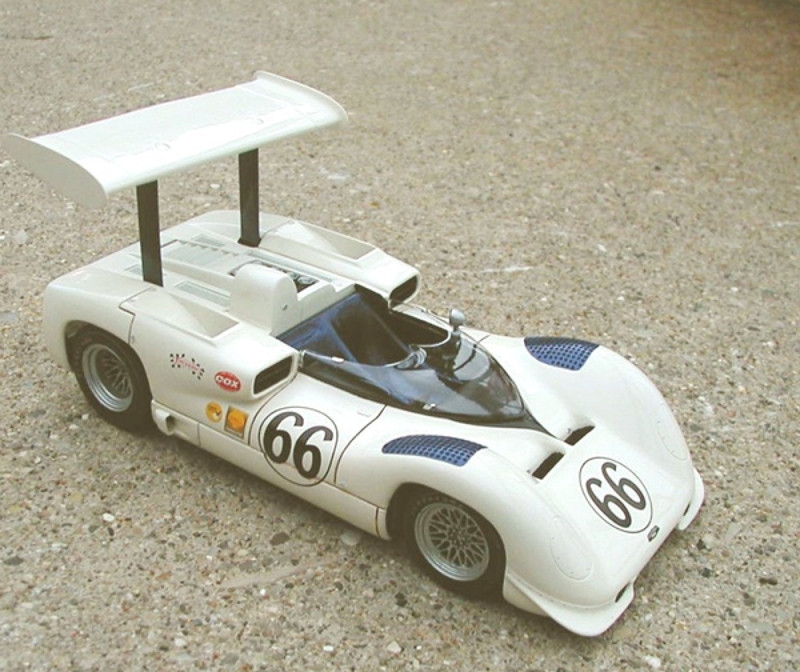 The ideal companion pice to our 2F, the Chaparral 2E kit is just as nice.Delicate photo etched screeening and louvres at the rear, perforated fenders up front and that high mounted wing really set this model apart. 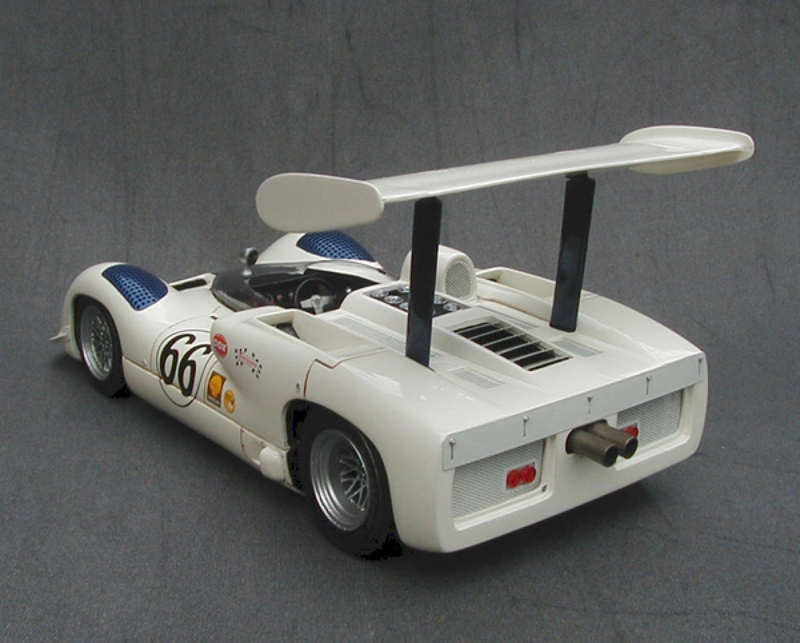 Soft rubber tires, interior detailing and full decals plus optional parts for two versions. 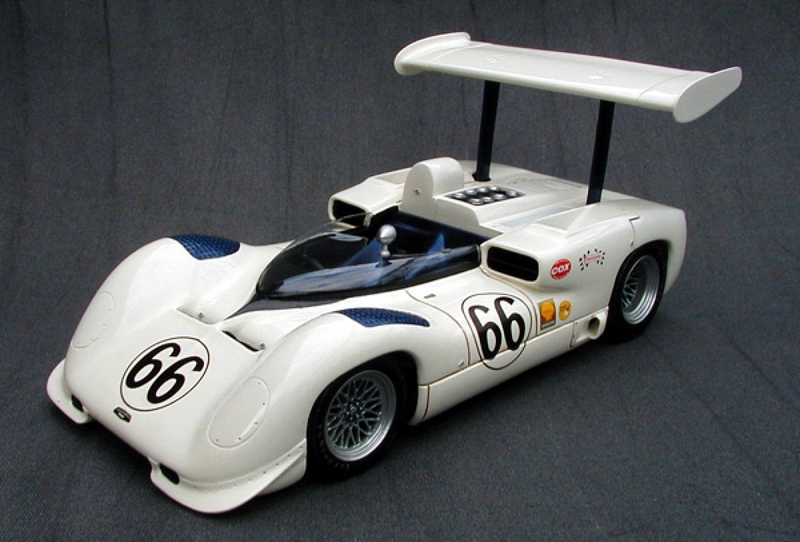 One of the most successsful and fascinating racers to come out of Midland, this model is approved by Jim Hall himself and produced under license from Chaparral Cars.